No matter where you are in the process, our team is dedicated to making your flooring experience as simple and enjoyable as possible. Have a question or comment? Fill out the form, drop us a line, stop by one of our stores, or even reach out on social media. You can also view our FAQ page with answers to the most common flooring questions. No matter how you find us, we’re here to help. 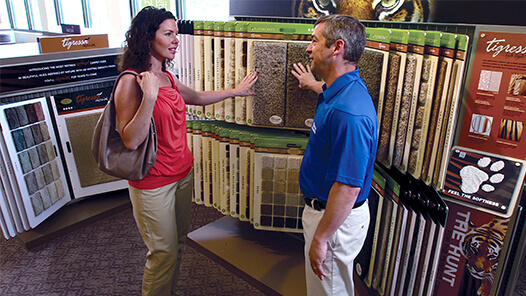 Stop by any of our locally owned and operated stores to shop a unique selection of floors—all backed by the quality and expertise of Flooring America.